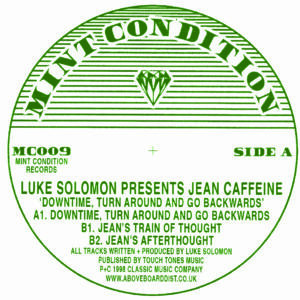 Originally released in 1998 this classic, stripped back, funked up workout from the mysteriously monikered Jean Caffeine (aka The Freaks' Luke Solomon) is a true underground UK House classic. Raw garage-esque drums drive the title cut 'Downtime, Turn Around And Go Backwards', the track skips along while these soul drenched creeping synth melodies and pads completely wash over us and engulf our senses... then, out of nowhere that wigged out bassline appears and we're locked in to a truly sublime groove that won't stop! Over on the flip we are treated to the subdued mellow groove of 'Jean's Train Of Thought', again crazy raw drum programming is accompanied by a sophisticated, bleepy jazzy feeling that goes super deep. The EP finisher 'Jean's Afterthought' carries on the minimal funk vibe of the rest of the EP - lean, driving drums, filtered loops and creeping synth sounds that weave in and out of the mix creating a mildly hallucinatory feel that is present throughout all 3 tracks. 'Downtime, Turn Around And Go Backwards' is a truly unique record with an original style that stood out in 1998 by miles and still sounds ahead of the curve now! A modern classic indeed. 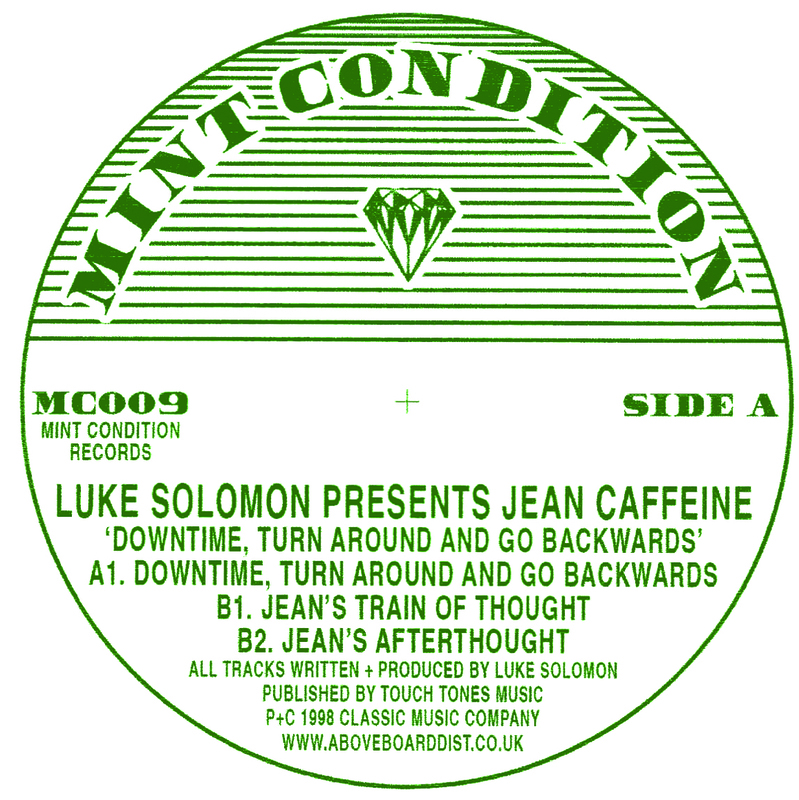 'Downtime, Turn Around And Go Backwards' has been legitimately re-released with the full involvement of Luke Solomon / Classic Records for 2017 and remastered by London's Curve Pusher from the original DAT especially for Mint Condition. 100% legit, licensed and released. Dug, remastered, repackaged and brought to you by the caring folks at your new favourite reissue label - Mint Condition!